Optimal immunoprecipitation is obtained using 2 micrograms of antibody for 4 hours. Under these conditions about half the optineurin was immunoprecipitated. The 4th and fifth bleeds of anti-Optineurin (520-531) S685D are equally good for immunopreciitation. 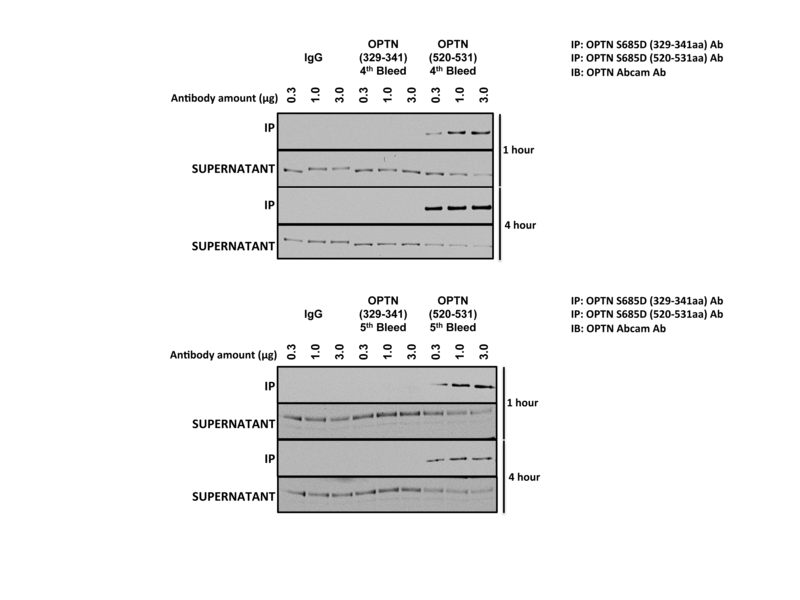 These antibodies do not immunoblot optineurin.